The human body has specific nutritional needs. Ideally, you would get all of the nutrition that you need from your food. However, this is not always possible. Even when you follow a well-balanced, nutritious diet plan, your diet won�t always provide you with all of the nutrients that you need. 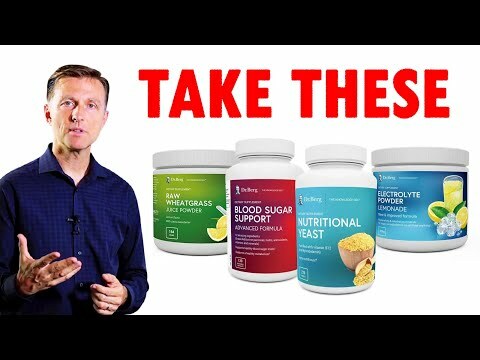 In many cases, nutritional supplements are an excellent way of making sure that your body is getting all of the vitamins and minerals that it needs. Every person is unique, and nutritional supplement needs may vary from person to person. Vitamin C is another element necessary for proper health. People�s need for vitamin C varies on an ongoing basis. Fortunately, any excess of C vitamin in a person�s system is excreted via the urine. Many people believe that increasing vitamin C consumption, either through the diet or via supplements, at the first sign of a cold can reduce the severity and duration of the illness. Calcium supplements are often beneficial for very young children and older adults. Very young children need calcium to support healthy bone growth and development. As people age, their bones lose the capacity to produce a sufficient quantity of calcium. Some people also have dietary restrictions that prevent them from consuming calcium rich dairy products, and so need supplements to provide needed calcium throughout life. The essential Omega-3 fatty acids can be obtained by consuming fish. However, it may not be possible or desirable to consume fish in sufficient quantities to maximize the benefits to heart health and reduction of inflammation that can come from getting proper amount of Omega-3 fatty acids. However, dietary supplements can provide people with consistent, daily doses of this important piece of the nutritional puzzle. Nutritional supplements can also be beneficial and provide relief from many forms of hormonal deficiencies. For example, soy is believed to play a role in reducing pre menstrual syndrome (PMS) and menopausal symptoms. Cortisol supplements can provide relief to people who suffer from painful and debilitating symptoms such as joint pain and fatigue. While most people produce a sufficient amount of cortisol, many people are not able to produce this substance in sufficient quantities. Still other nutritional supplements can be beneficial for correcting thyroid imbalance. Tests are available that can help you determine which specific nutritional supplements you need to maximize your overall health. Before adding supplements beyond a typical multi-vitamin or other common supplement, you should consult your physician or nutritionist. Depending on your particular needs and health conditions, some supplements may actually be harmful to you. Lupus patients, for example, should not take Echinacea. While many people take Echinacea to promote health, it can actually harm a lupus patient who already has an overly active immune system. Make sure to get your physician�s blessing before introducing supplements to your diet. By optimizing the nutritional supplements that you take, you will soon experience the benefits of optimal wellness.